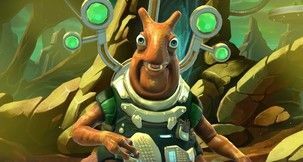 Let me talk a bit about my history with the Star Control series. I’m old enough to have played, and beaten, both Star Control 2 and 3 (I didn’t play the first, though). In my personal “All Time Best” list, they’d both rank somewhere in the Top 25. The Star Control games have always satiated my personal desire to play out my own personal Star Trek adventure, but in a less reverent universe. They were funny, well-written, and the combat was well ahead of its time. Fast forward many years and Stardock acquired the rights to the franchise. Shortly thereafter, they announced they’d be making an entirely new game, a reboot for all intents and purposes, with new aliens, but with the same feel and quality one would expect of a Star Control game. Now, I’m a fan of Stardock’s other games, but I admit to having doubts. It’s really hard to take on a nostalgic franchise like Star Control and live up to those types of expectations. Yet somehow, they’ve not only managed to make it work, they’ve also managed to develop my favorite Star Control game of them all. I don’t say that lightly, either. 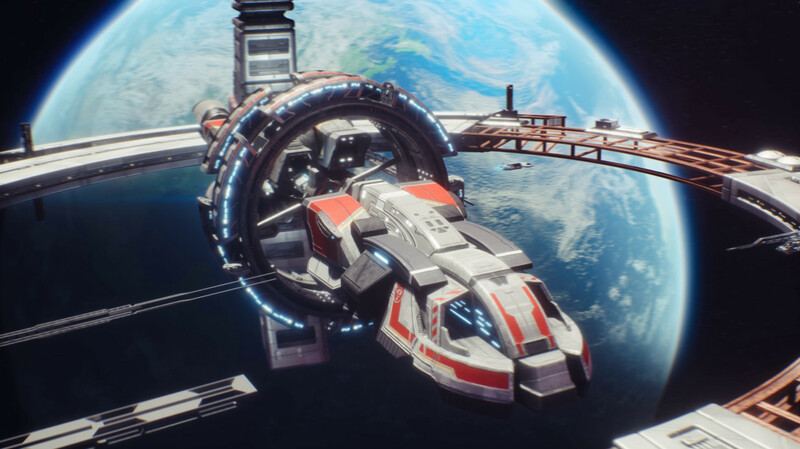 The game begins as you take control of humanity’s first and only space-faring vessel. You’re given a mission to look in to the mysterious Lexites, an alien race that left traces of themselves within your own solar system, but mysteriously disappeared, never to be heard from again. It’s not long in to your journey that you’ll meet the slug-like Tywom, who do their best to warn you of the incoming Scryve Empire, an empire that is hellbent on destroying you and the human civilization before humans become…an issue. With the stage set, you’re off to start an adventure. Along the way, you’ll encounter new aliens, each with unique and often humorous dialogue (thanks to the excellent writer that is Chris Bucholz), engage in combat, and basically Captain Picard your way through the universe. Speaking of space combat, a Star Control game couldn’t possibly claim any sort of legitimacy without superb ship-to-ship battles, and Origins just about nails it. There are dozens of different ship types to discover on your journey that you’ll be able to add to your fleet. Each ship type has a primary and secondary weapon type, allowing for some really tense and tactical combat as you pit them against others. It’s insanely fun. For instance, if you know your enemy, do you bring the Mu’Kay Grasper and its harpoon and ink blob, or try to risk less and knock them out with the Mowlings Fencer and its laser carver? As you experiment with each of them, you’ll certainly have your favorites. Finding a particular ship type and getting to know how it’s controlled and fights is exhilarating. Which is great, as combat represents a large portion of what you’ll be doing in Star Control: Origins. 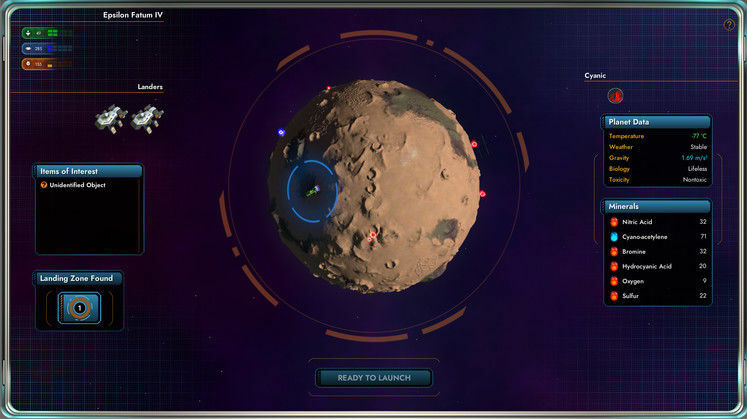 Between combat and alien diplomacy, you’ll also be exploring planets for various resources, downed ships, quest locations, and hidden objects. Your ship comes equipped with a lander for just this occasion. Making planetfall, you’ll navigate each world as you attempt to obtain those resources (to sell or to use for various tasks) or find those other scattered objects, buildings, and hidden secrets. While fun at first, I’ll admit that it does become somewhat tedious towards the end of the game. A large part of me wished that a late-game tech would let me automate some part of the resource gathering, but sadly that doesn’t seem to be the case. However, it remained easy and engaging enough through most of my time with Origins that the complaint is only a minor one. I ran into quite a few small, non-game-breaking bugs and graphical glitching. None of which ruined my experience. However, I have other complaints, too. Origins’ user interface, especially in regards to the “Captain’s Log” (basically its quest log), is clunky and not as user friendly as I know it could be. Its lack of a search function seems like a silly oversight. For a game that touts itself as a pseudo-RPG, it needs better organization of that sort of information. The interface for installing new ship components wasn’t my favorite, either, as it involves a lot of mouse scrolling and no easy way to compare the components. Lastly, without spoiling anything, I did find the ending to be a bit anticlimactic. I won’t say much more here, but after 25 hours with Origins, belly-deep in its lore and having an incredible time making my way through its story, I wanted a more satisfying conclusion. Again, I won’t say more as to not spoil anyone’s experience, but I feel like Stardock dropped the ball a bit here. Nevertheless, I had more fun with Origins than I’ve had fun with any other game in recent memory. The aliens, the combat, the dialogue, the sense of discovery and the pacing of this game went well beyond what I expected and frankly kept me glued to my computer much longer than I needed to be. There were many nights where I would look at the clock only to realize I should have been in bed two hours ago. 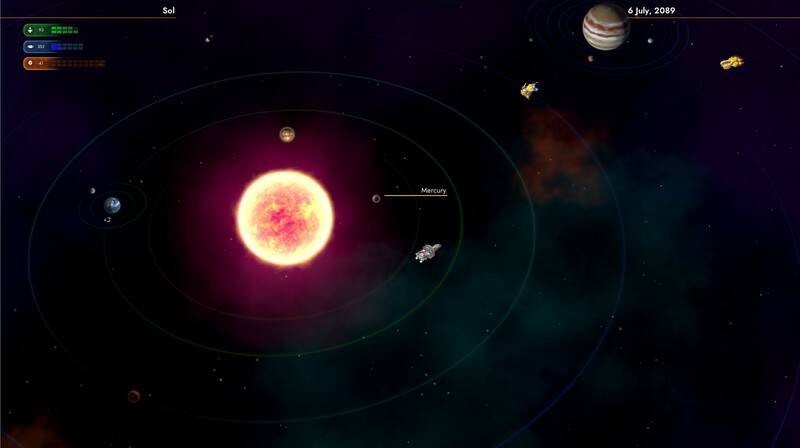 I haven’t even mentioned all the tools that the game will ship with, like an extensive ship and structure builder that allows you to construct your own unique creations, a fleet battles minigame, and soon, the tools to create your own planets and full adventures. Stardock is clearly setting up Origins as an adventure building tool for the future, and I can’t wait to see what the fanbase creates. 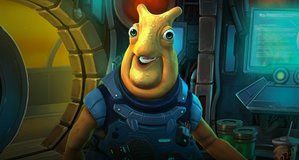 Star Control: Origins feels like a near-perfect reboot. It is not a perfect game itself, but it manages to capture the same spirit of the originals, while finding its own voice and providing a solid foundation for more content in the future. There is room for improvement, to be sure, but I’m eager to see where Stardock takes this franchise, as what’s here is - above all else - fun. At the end of the day, that’s all I really want in a video game. 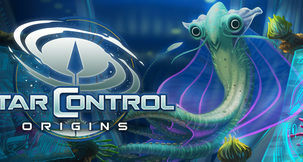 Star Control: Origins is currently available to purchase on Voidu for €31.18, $36.71 and £27.89. There’s also a 20% discount at the moment, so remember to add the PLAYHARDER code at checkout for 20% off. It’s nearly unheard of for a company to pick up the rights to a game franchise and actually do the damn thing justice, but here we are with Star Control: Origins. The adventure is fun, funny, and all together engaging. I’m probably as surprised as you are that the game is actually this good. 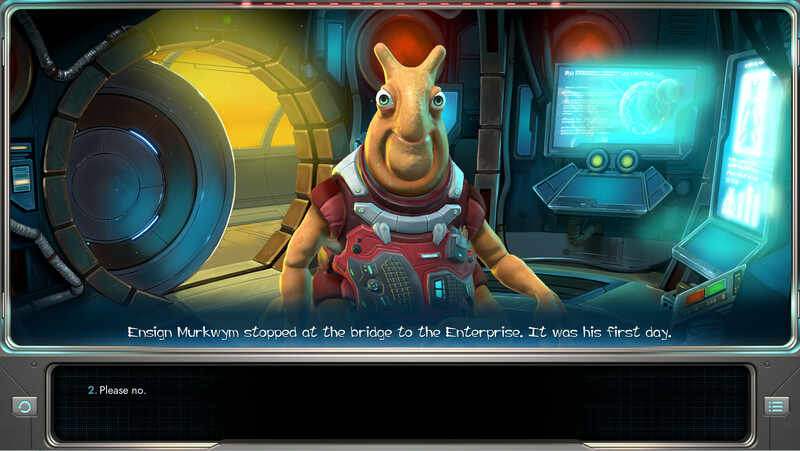 Thankfully, Stardock really seems to have the same reverence and respect for Star Control as its biggest fans do. Meeting Jeff. Or maybe that plot twist. Wait, no, probably the time that one alien ate one of my crew while having a conversation with me at the same time. I can’t choose just one.